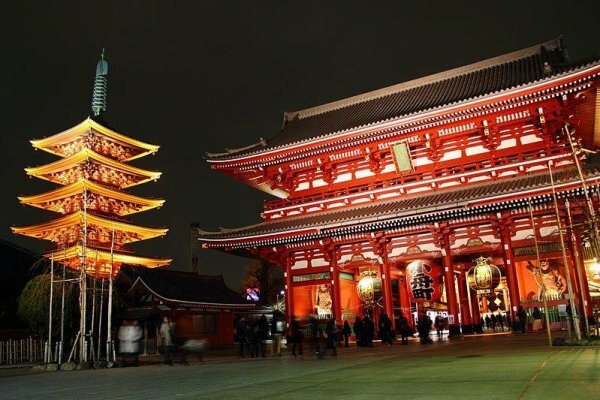 Sensoji is a Buddhist temple also known as Asakusa Kannon Temple is currently one of the most popular places to visit in Tokyo. 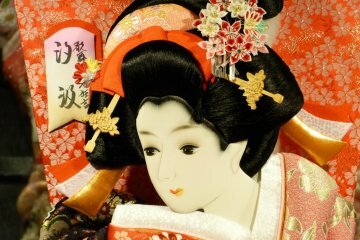 In the year 628, it was believed that two brothers recovered a statue of the goddess Kannon that had sunk into the Sumida river. Kannon, also known as the Bodhisattva goddess of mercy, was said to have blessed the statue. 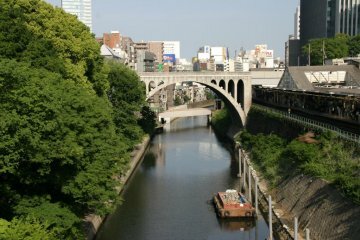 As a result, whatever misfortune the statue encountered, or wherever the statue was taken to, the statue miraculously managed to find its way back to the Sumida river. 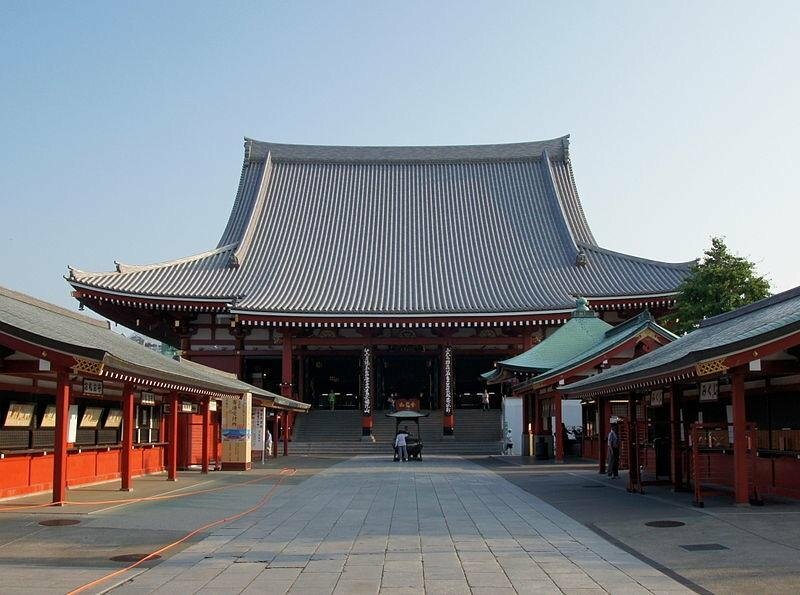 According to legend, the Sensoji temple was built nearby in honor of the goddess Kannon to commemorate these miraculous events. 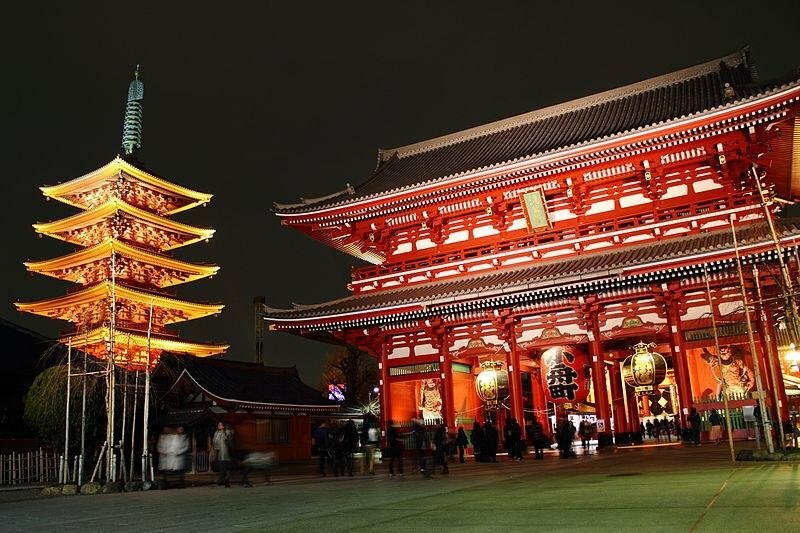 Today, Sensoji temple stands as Tokyo's oldest temple, and it sees millions of visitors every year. 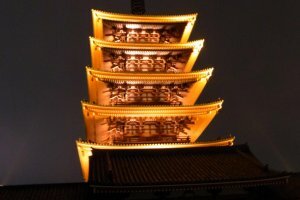 Visiting the temple for the first time can be an exhilarating experience for any traveler. What I loved the most about the temple was the massive wall that encircled it. 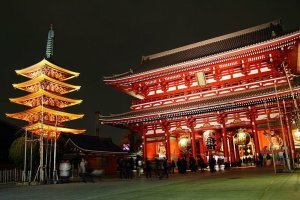 Visitors to the Sensoji Temple enter through the Kaminarimon, or Thunder Gate, which separates the temple from the rest of Tokyo. The streets immediately inside the temple's outer walls are known as the Nakamise, and it is lined with a collection of small shops that sell traditional goods and souvenirs. This shopping area has existed within the temple's grounds for centuries, and it has played a vital role in helping to preserve its culture. 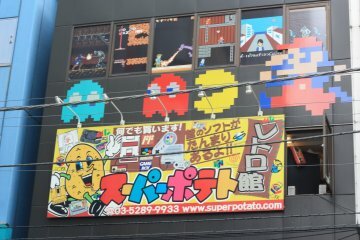 Popular traditional Japanese snacks are sold here. These kinds of snacks are tasty and enjoyable to eat while exploring the temple grounds. 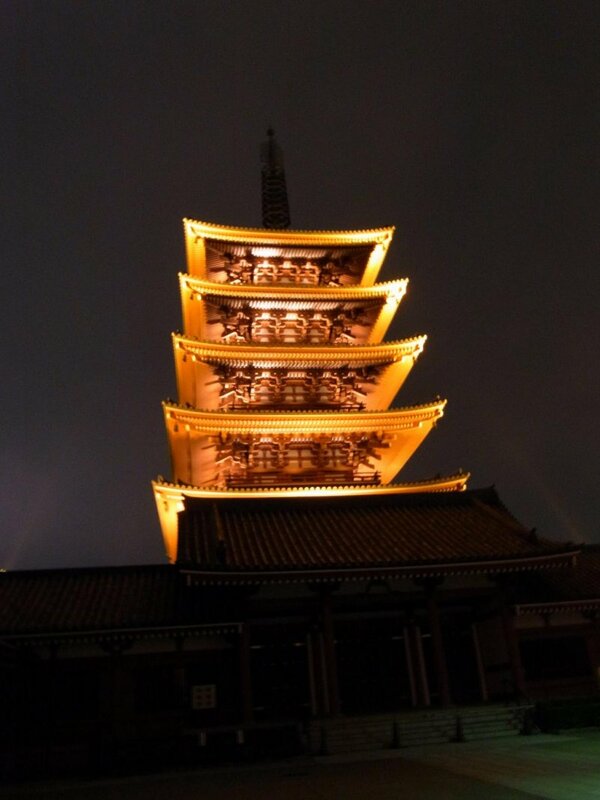 In addition to being a popular historical landmark, Sensoji temple also hosts several festivals throughout the year. 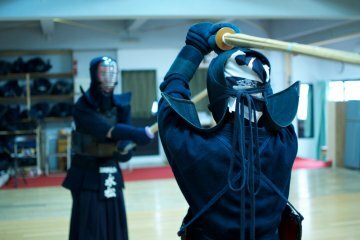 The largest is known as the Sanja Matsuri, which is held every May, and it is dedicated to the two fishermen brothers who recovered the statue and the wealthy landlord who founded the Sensoji Temple. 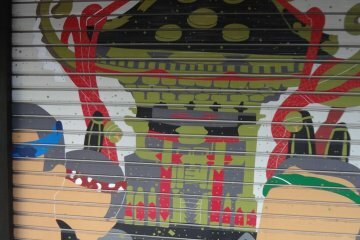 They are enshrined in the Asakusa shrine next to the temple. Beyond the shopping strip is another gate known as the Hozomon Gate or Niomon gate originally built in 942. Repeatedly destroyed it has been rebuilt time and time again and has endured for centuries as a significant historical monument. This gate leads to the temple's main hall with the famous five-story pagoda. 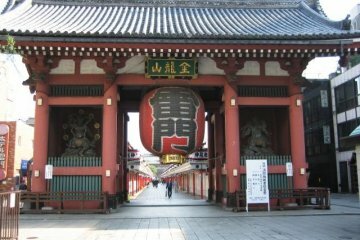 The Sensoji temple is also home to some of the largest paper lanterns in the world, which are proudly displayed near the gates of the temple. Sensoji temple is located in the northeastern quadrant of Tokyo in Taito-ku. 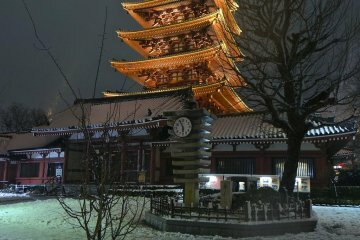 It is an easy walk from Asakusa station. 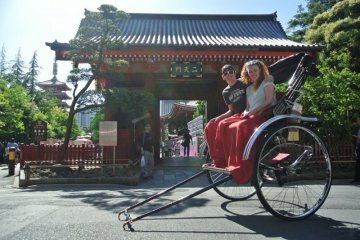 Ride a Rickshaw in Japan!